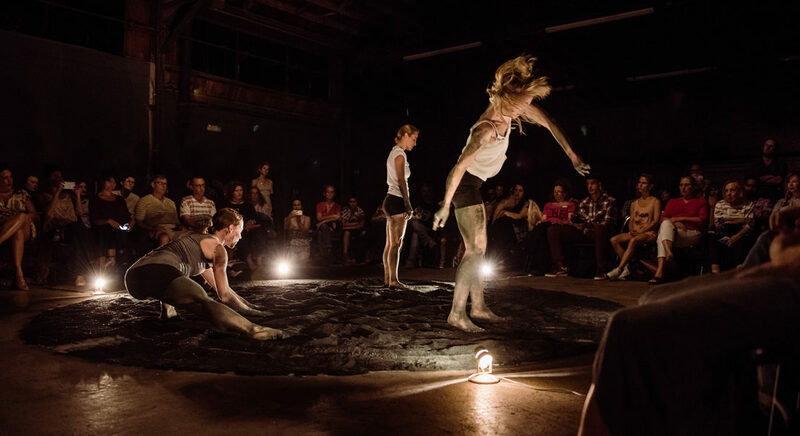 In a series of four multi-disciplinary public performances, Girls’ Club brings unique experiences outside the walls of the gallery space and into the world’s stage. In collaboration with performance/video artist Jen Clay, author/visual artist Vanessa Garcia, choreographer/dancer Jenny Larsson and visual/performance artist Christina Pettersson, Girls’ Club has commissioned these artists to engage otherwise non-traditional locations for performance, while exploring narratives that relate to each’s personal artistic practices and inspirations. Taking place on the riverside grounds of the Fort Lauderdale Historical Society, Along the Shadow of the River takes inspiration from the historic river and the women whose histories are forever linked to its waters. Taking place inside the barber shop Monarchs Cut & Shave in FATVillage Fort Lauderdale, Temple Fade explores what happens when three haircuts, three stories, and the butterfly effect walk into a barbershop… Created by Vanessa Garcia. Created by Vanessa Garcia. Performed and Co-directed by Ashley Diaz, Melissa Almaguer, Jeff Quintana, Ivan Lopez. Choreographed by Malia Nicolini. Taking place in the back classroom of ArtServe in Fort Lauderdale, Nearing is an immersive experience bringing together large scale puppets, performative sculpture, ambiguous creature-like costumes, stop motion animation and an extra-terrestrial soundscape created by Clay’s collaborator Elise Anderson. Taking place in the empty warehouse of Project South in FATVillage, Fort Lauderdale, Searching for Arctic Winter tells the poetic journey of artist, choreographer, dancer and artistic director of Wild Beast Collective Jenny Larsson and company as they search for home in Searching for Arctic Winter. Larsson is joined by Wild Beast dancers Rachel Carroll, Lize-Lotte Pitlo and collaborator Marie Whitman, founder of Eat Your Poem poetry project. Funding for this project was made possible in part by Funding Arts Broward, Broward County Board of County Commissioners as recommended by the Broward Cultural Council, and private donors.